The Minimo is a two-seat mobility solution that merges the qualities of superminis with the practicality of motorcycles. 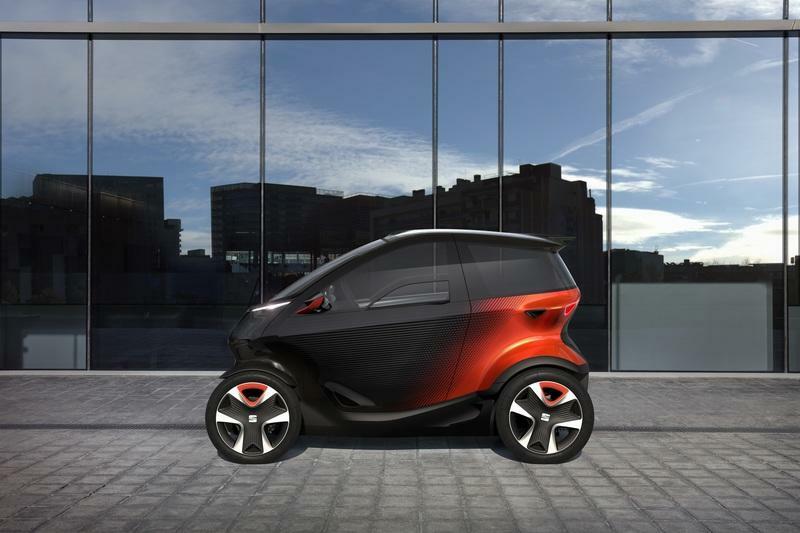 The Minimo measures 8.2 feet in length - this makes it the same length as the first smart ForTwo. Unlike the smart, however, the Minimo is only 4 feet wide. And, of course, it is electric, with doors that open upwards for even more in-town practicality. I mean there’s only so much you can do with the quadricycle concept. I get that due to safety concerns, various regulations, and aerodynamic efficiency; Seat couldn’t actually create something that looks completely different compared to the Twizy. Yet, I’d like if it did look more like a Seat and less like a fat early 2000s GSX-R. Its shape is clearly defined by the requirements of congested cities. This thing has to be able to squeeze everywhere (that’s why it is only 8.3 feet long), and it has to be able to transport everyone (if it remains under 450 kilograms of weight, even 16-year-olds in Europe will be able to drive it). Now, Seat installed rather large 17-inch wheels on all four corners. The Minimo, of course, does not have standard car tires, but some special Bridgestone units measuring 115/80 up front and 145/80 in the back. I am sure you can imagine a few motorcycles with beefier tires. While skinny tires definitely reduce some of the drag, they do play a rather prominent design role with the exterior of the Minimo. Wheels are quite dominant with partial covers in the front. The rear tires, however, do somewhat sit under the Minimo’s body. The design as a whole is quite striking with a front, prominent triangular light, slim waist, and surprisingly large glass surfaces. Plus, unlike some Twizys, the Minimo is fully closed with completely working doors. Look at the rear end, and you'll see two tail lights shaped to reminisce of the latest Spanish car - the Formentor. Actually, Seat says that the rear lights borrow design cues from the aeronautics. Nevertheless, it is more Seat-like than the front. All in all, the exterior does look futuristic in a Star Trekish kinda way. "The design of the Minimó shows the way we understand urban mobility: efficiency, high value and cost saving - combined with vibrant design. Our Minimó demonstrates that there is space for fun and style when we are talking about electric and shared vehicles. More than ever - design matters." said Alejandro Mesonero, Design Director at SEAT. I doubt, however, that the Minimo looks presentable enough for the majority of the consumers who choose their cars by the way they look. On the other hand, it may look just right for car-sharing companies. And, it is actually designed with that idea in mind. That’s why it has that rear extension where you can fit a suitcase (I find it to be a nice throwback to really old classics), and quite chubby side skirts. The batteries are located right behind them, and you can actually open the compartment from the outside to change the batteries. A little bit more on that later. Mii. All of this points out that the Minimo has some car qualities. And the gear inside upholds that to a great degree. First of all, one can find a digital cockpit behind the steering wheel. 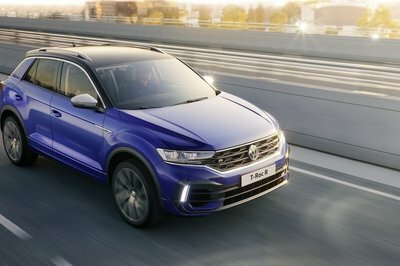 That piece also a window into the infotainment system that pushes all kinds of modern amenities including wireless smartphone charging, keyless entry and go, Android Auto, and voice commands. A compelling set of technologies, no question. And something the Twizy simply doesn’t have. Seat apparently found a bit space inside the doors for door pockets which is quite a nice touch in a vehicle this small. The back seat, while definitely capable of caring a grownup, can actually be utilized as cargo space as well. This is big, as, say, one could deliver all kinds of stuff with the Minimo - like pizzas, Play Stations, Printer ink, or puppies. All of it would fit in the back. And the driver would have a nice 360-degree view to the outside thanks to that massive glass surfaces that cover the upper part of the Minimo. The big deal with the access to the cabin are those asymmetrical doors that open vertically. That’s because it is expected that the Minimi will squeeze anywhere like a rat and if you want to get out of it, you better be able to open the doors. As for the asymmetricity, Seat somehow figured that the door on the left should be smaller than the one on the right. It apparently did this so that the designers can create bigger glass surface. It makes sense as visibility and light inside the cabin are a key with vehicles like this. No one wants to feel trapped. Built on a bespoke aluminum tubular chassis, the Seat Minimo body is made from layered plastic panels. Apparently, some of them are dyed and others painted. This concept kept the cost and weight down. The aluminum tubular chassis does have a dedicated space for the batteries. It is basically located in the floor, and that was one of the main reasons for elevated seat position. As you can see on the attached photos, trays can hold four separate batteries, each of which has a weight of 25 kilograms. 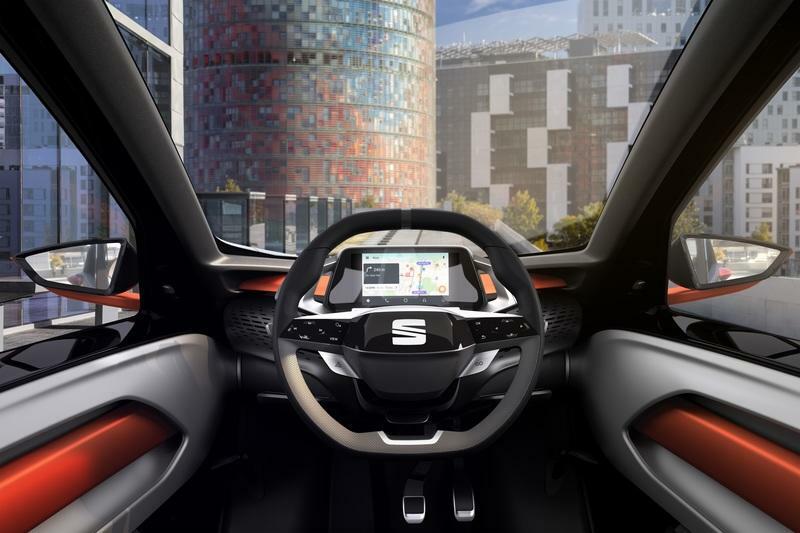 The Seat Minimo, thus, has 100 kilograms of batteries in the frame under the floor. Such batteries are big enough to propel the Minimo for 62 miles. While this doesn’t sound especially commendable, the batteries are easily exchangeable. Anyone can replace depleted batteries for charged ones in a matter of seconds - something that practically solves the range anxiety problem. If you have continuous access to charging stations and recharged Minimo battery packs, that is. For this fact alone, I feel that the Minimo could work perfectly as a delivery vehicle in the cities. Car sharing is yet another possibility that could utilize this technology. Yet, Seat went a bit further in the future with the Minimo. 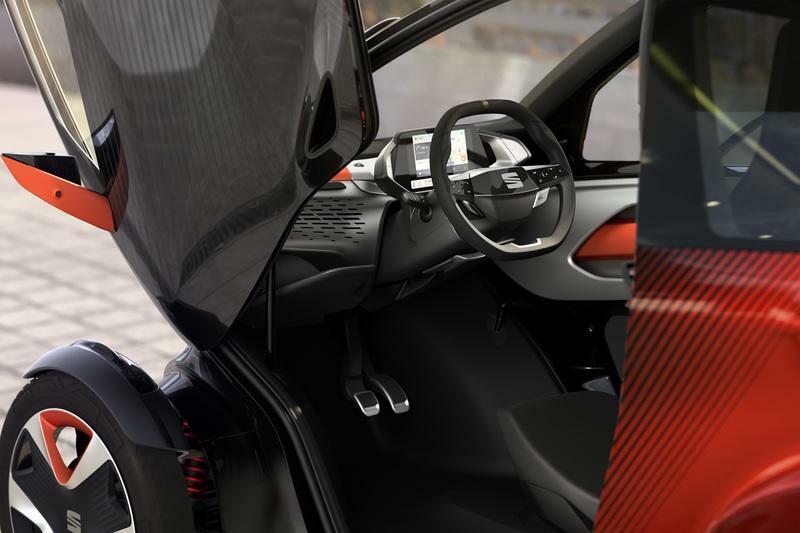 It is designed to accept the Level 4 autonomous driving technology as soon as it becomes available. If we reach that level of autonomy, the Seat Minimo could theoretically drive to your location if you summon it. It is a bit of a game changer, really. Imagine an Uber-like service with a Minimo fleet and without driver expenses. 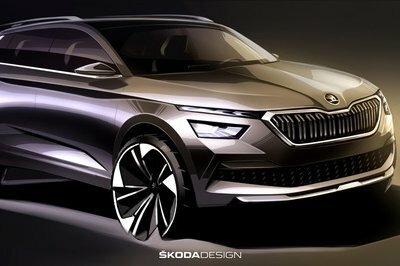 He even hinted at the possibility of the creation of the Plug-in version. 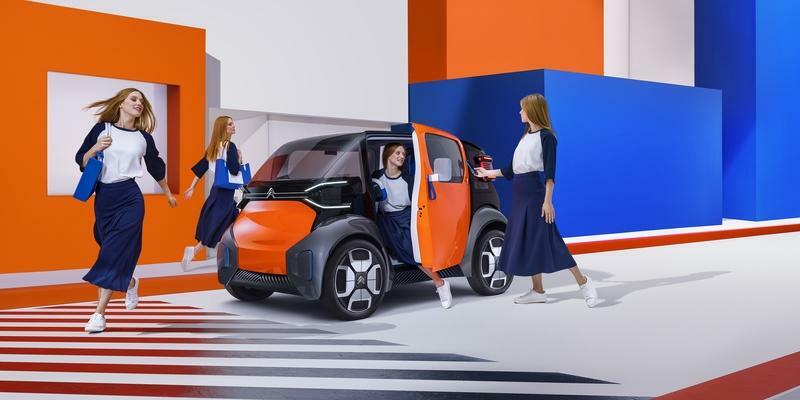 Considering its diminutive size, simple construction, small battery pack, and branding (it’s a Seat, so one of the cheapest from VAG), I have to assume that the Minimo will be priced similar to the Twizy. That’s around $9,300 in the U.K. 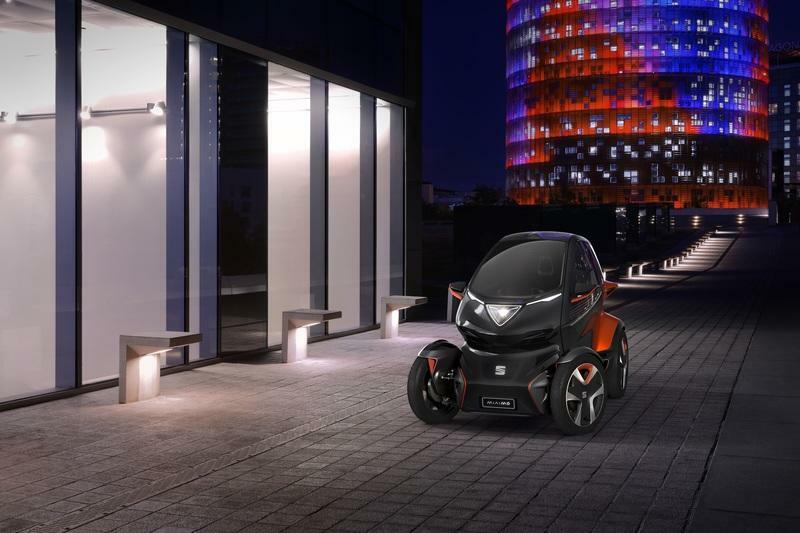 If they manage to keep the price at Twizy levels and provide a commendable battery service in large cities, the Minimo could have a better reach than the Twizy ever had. 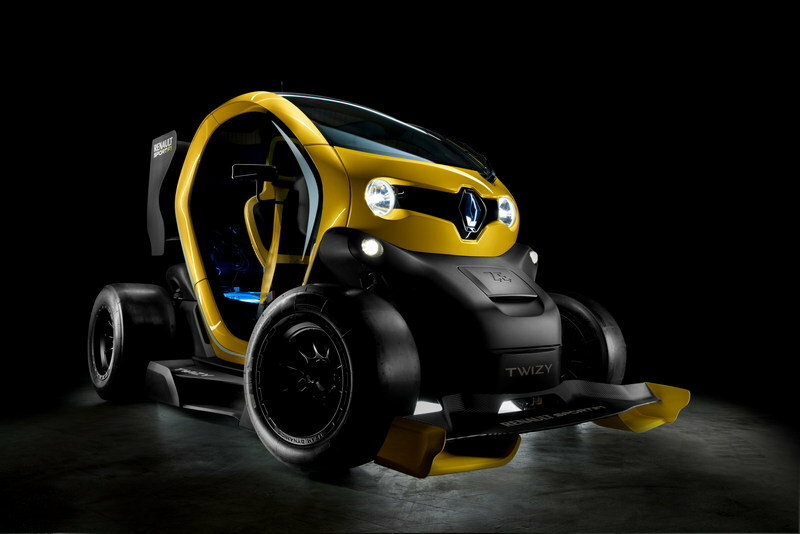 The Renault Twizy is the obvious competition to the Seat Minimo. It tips the scales at 475 kilograms, has a 100-kilogram battery pack, but it is slightly shorter. Plus, it already did a lot of what Seat intends to do with the Minimo - tried to deliver things, tried to reach out to youngsters, and even tried car sharing. 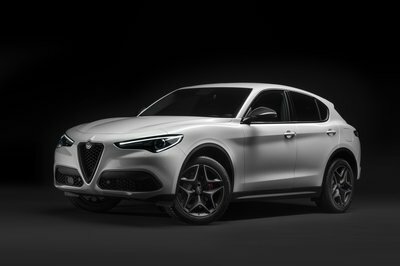 Apparently, it did not excel in anything despite the 17 horsepower electric motor and up to 62 miles of range (in perfect conditions). 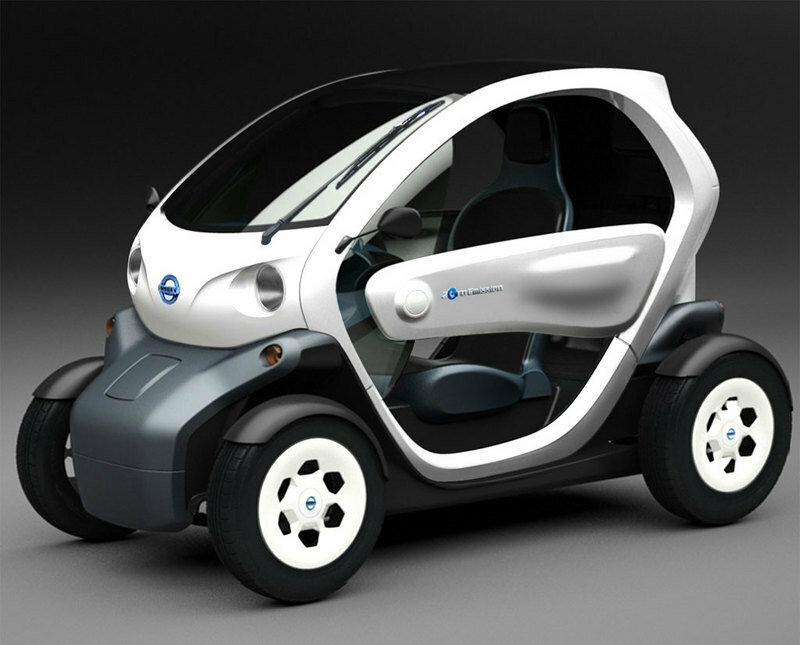 The Twizy, however, lacks one major feature compared with the Minimo - exchangeable batteries. 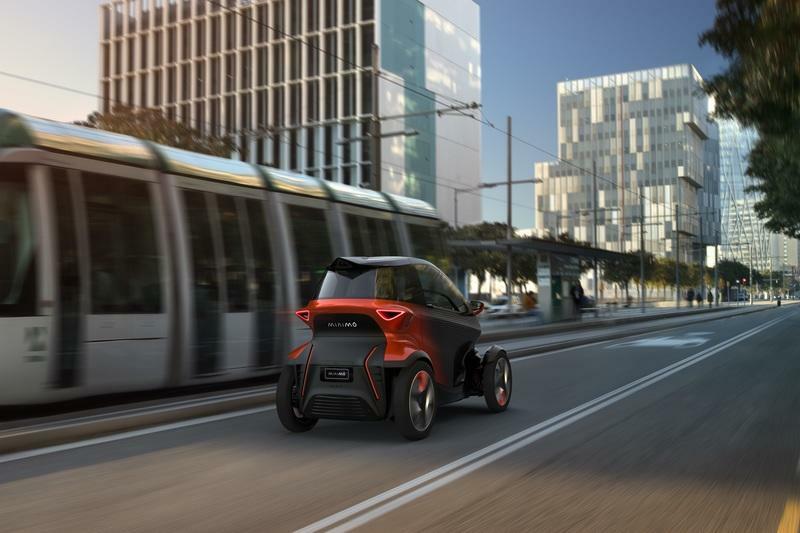 While it looks completely different compared with the Minimo, the Citroen Ami One Concept is basically the closest competition to the Minimo after the Twizy. It measures the same in length, it is fully connected, license-free, electric, and it is built around the car sharing idea. I believe it does have a bit more space inside the cabin, but it shares 62 miles of range with the Minimo. However, it lacks the possibility for the battery replacement. 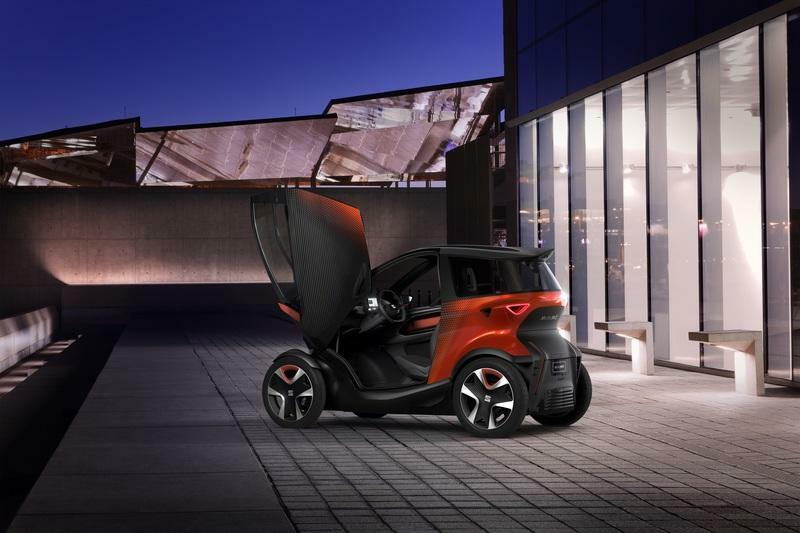 The Seat Minimo is basically an all-new try at an idea Renault explored with the Twizy. With only 17,000+ units sold in more than five years, no one can say that the Twizy actually succeeded in its car-sharing or urban electric mobility mission. 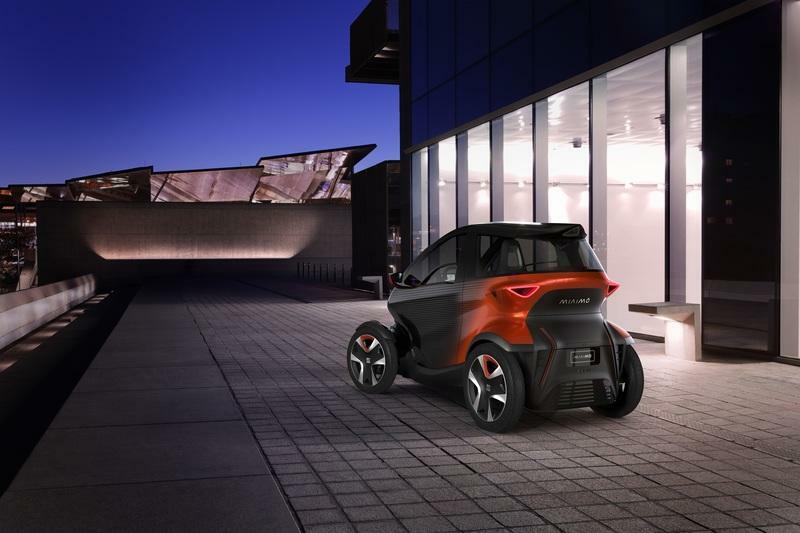 Yet, the Minimo has that one crucial feature the Twizy lacked - swappable batteries. With a rich network of “battery-swap” services, I can see how the Minimo can succeed in big cities. Plus, the Minimo features all the modern connectivity technology and is intelligent enough to accept novel technologies such as the Level 4 autonomous system gear. It is a fully connected car too (to the Internet and other cars with the same capabilities). This set of technologies is crucial for market effort. 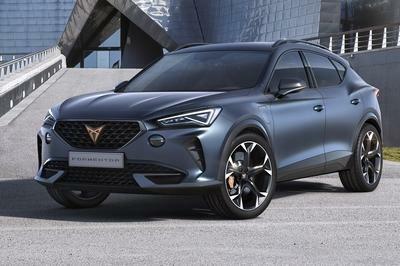 The production version is expected in 2021, and it will look the same as the concept in Geneva, only, it will be made of different materials.